Just because you're vegan doesn't mean you have to give up on Thousand Island salad dressings. 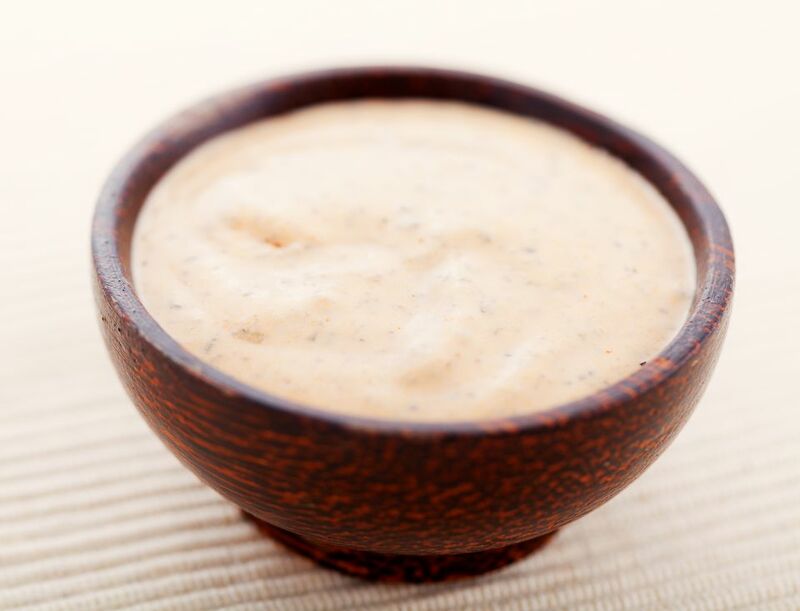 Just use a vegan mayonnaise to make a homemade vegan Thousand Island dressing. In it's simplest form, Thousand Island salad dressing is little more than a prepared ketchup mixed together in any proportion with mayonnaise. This one below uses sweet pickle relish to add a bit of sweetness and texture. For a bit of tang, mix in some Dijon mustard or a little bit of vinegar, for a more refined palate, minced green olives add a nice bite. In a small bowl, place the vegan mayonnaise, ketchup, onion powder, salt, and sweet pickle relish. Whisk together all of the ingredients until your dressing is smooth and creamy and all of the ingredients are well combined. Make sure to get rid of any "streaks" of ketchup or mayo in the mix. Not sure what to do with your Thousand Island dressing? It can be used in place of plain mayonnaise on just about any kind of sandwich and makes a great addition to any veggie burger as a topping.